The Flood Log is a modular system designed to withstand high velocity water loads and to be highly resistant to heavy impact forces. It is particularly applicable to flash flood and hurricane prone locations in both small and large installations. 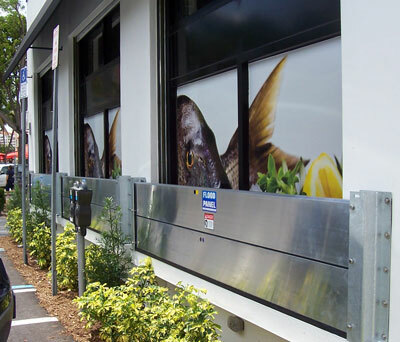 It has a long and proven history as an effective flood barrier in all flood-prone areas of the world, being one of the systems preferred by most of the larger insurance companies and governments. 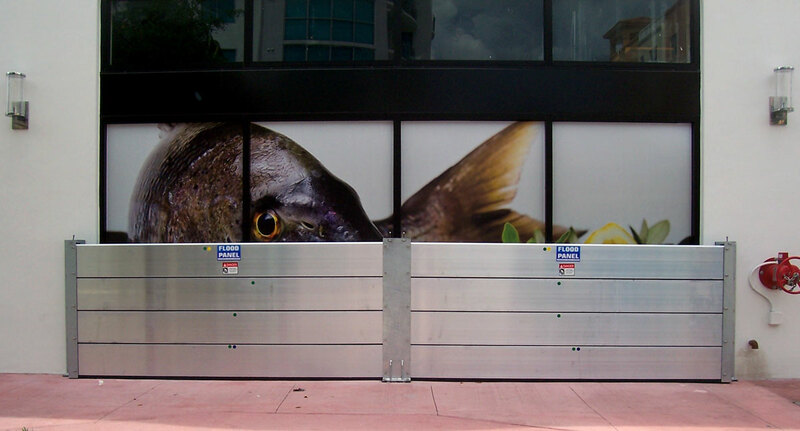 The system itself can be installed either across specific openings or as a perimeter defense. The system comprises of “C” shaped support posts and hollow aluminum beams, the ends of which mount (slide) down between the jaws of each post. These beams stack on edge with each other with a tongue and groove connection. The bottom beam of each span is fitted with a large rubber seal that makes contact with the foundation surface thereby achieving a water tight seal. No fixture points are required, making for a pleasantly aesthetic system when not installed. The end posts of a linear installation can also be internally mounted within the wall structure to make them even more unobtrusive. Flood Log is highly configurable. This system can be supplied in almost any configuration from closed circles and rectangles to linear “straight” runs of any length and a maximum height of approximately 19 feet. It can also be engineered to accommodate slopes of 20 degrees, and be supplied a stepped format for greater gradients. Each application will be engineered to suit its site-specific conditions, optimizing the system’s reaction time and effectiveness. 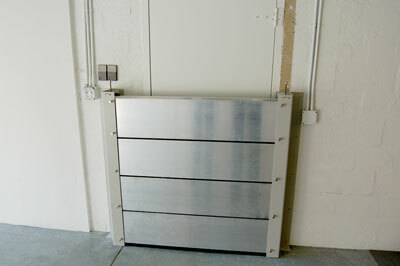 It offers one of the lowest reaction times of flood control systems on the market. 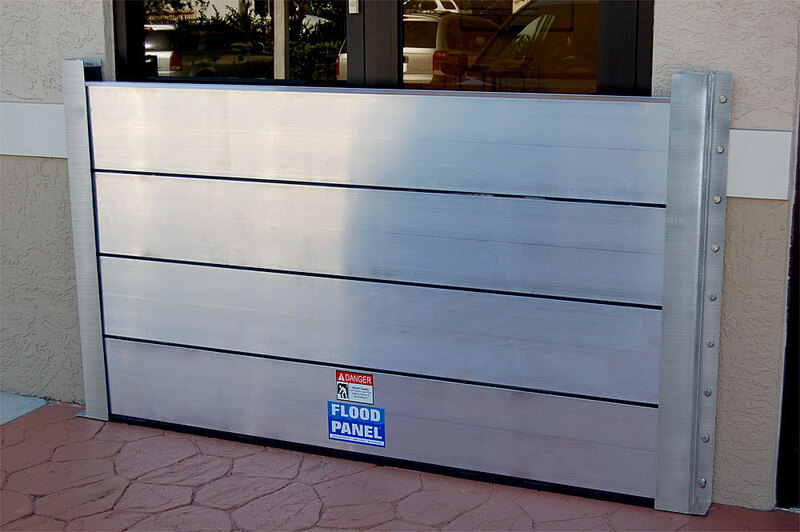 Flood Log is the premier system for manually installed flood barriers with its easy storage and installation. Flood Log modular barrier covering an entrance to a building. Please click image to enlarge. Flood Log installation designed to protect a commercial storefront. Please click image to enlarge. 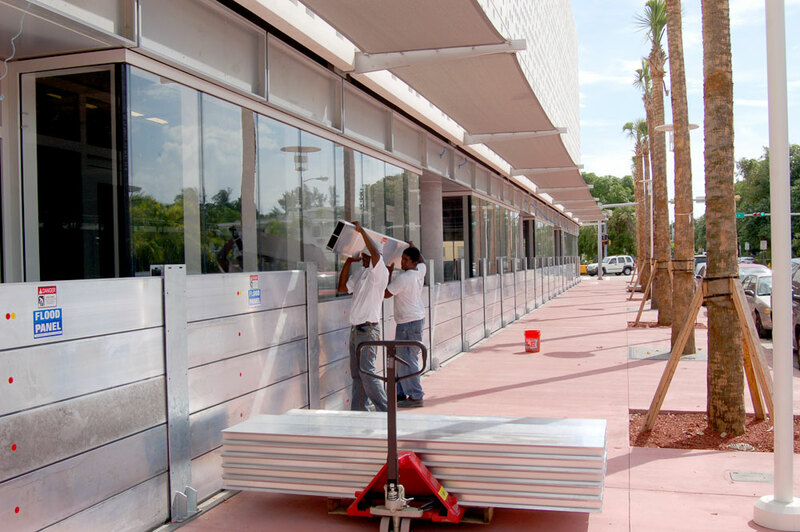 Flood Log installation designed to protect multiple storefront windows. Please click image to enlarge. 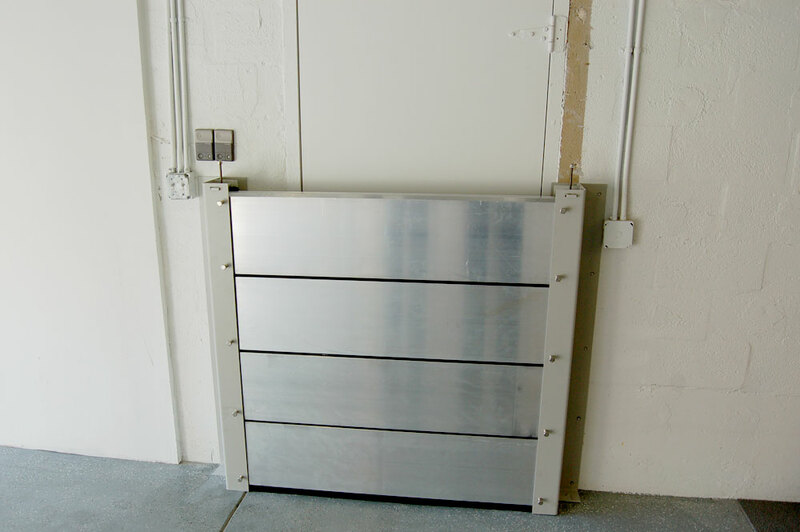 Flood Log installation designed to protect a single residential doorway. Please click image to enlarge. Flood Log installation designed to protect an entire commercial building. Please click image to enlarge.